This Simon, is Russula Emetica - and that is the clue. Also known colloquially as "the Sickener". 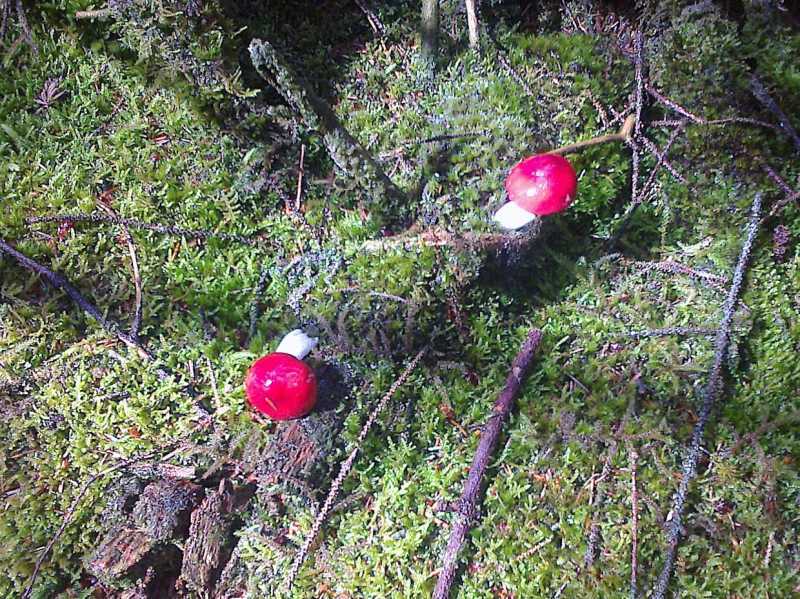 No way you can work it into the stew - unlike Fly Agaric, its sibling which can be harnessed - although quite how would have to be explained after the watershed. The environment you describe is exactly what it loves as you can see from my own pic, off Trostan. They start off like shiny red golf balls then open out as per your illustration. Just give it a wide berth.